All parcels from SMILEDUCKS are shipped from Korea. 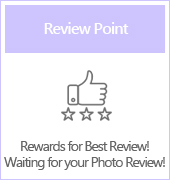 Every order is normally shipped out within 24 hours from the time of receiving the order. Due to the international shipment, we ship out with a tracking number becuase of lost packages. There are 3 types of delivery: K-packet, EMS, DHL. 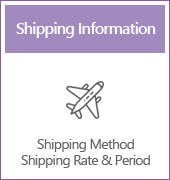 Shipping charges are based on the International shipping Rates table and are applicable to net weight only. Depending on the country, there may be three types of shipping that are not applicable. In case of K-packet, the total weight can be packed up to 2kg (including packing weight). However, we do not charge additional postage. You can set the type of your choice among the three shipping types on the payment page when you check out. The prices listed on smileducks.com does NOT include shipping fees. 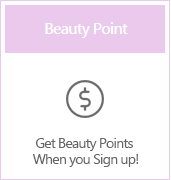 This provides price transparency for customers. Shipping cost is calculated by weight and differs depending on the shipping method and destination country. * If you do not want express shipping, you can create two separate orders (less than 2 kg each). We will ship out two separate order parcels. * Final package weight includes protective wrapping and box. The shipping system automatically calculates the total product and package weight at checkout. 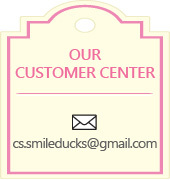 If a parcel is returned to SMILEDUCKS because it was unclaimed, the customer is responsible for the shipping costs. SMILEDUCKS is not responsible for unclaimed parcels.